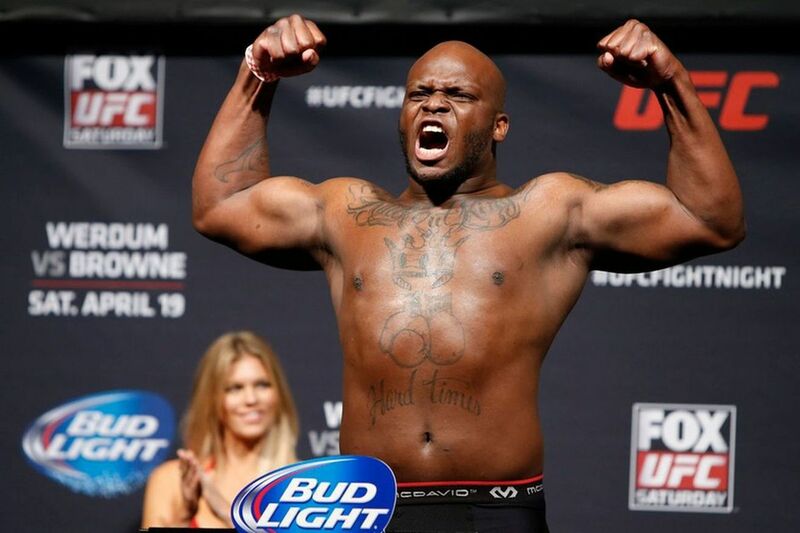 Two of the fastest rising contenders in the Ultimate Fighting Championship (UFC) heavyweight division, Derrick Lewis and Francis Ngannou, seem destined for a head-on collision. Where and when, remain to be seen. If Lewis had his way, he’d face “The Predator” after he handles his business against Mark Hunt at UFC Fight Night 110 on June 11, 2017, inside Vector Arena in Auckland, New Zealand. That’s because “Black Beast” — who didn’t agree with this assessment of division champion Stipe Miocic — is tired of hearing Ngannou’s mouth and recently declared on The MMA Hour that he’ll silence the “overhyped” heavyweight once and for all. Lewis is riding high with six straight victories inside the Octagon — five via knockout — while Ngannou carries with him a five-fight win streak under the UFC umbrella, all by way of knockout. Before these two heavy-handed behemoths engage in some “black-on-black crime,” Lewis has to get through one of his stiffest challenges to date in “Super Samoan.” Should he prove victorious, don’t be surprised to see him matched up against Ngannou shortly thereafter. Possibly in a title eliminator bout.